Samson C02 Condenser Microphones offer high-quality audio performance in an affordable package. 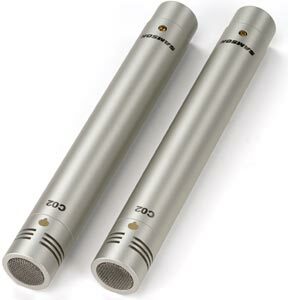 Sold as a pair, the C02 microphones are ideal in applications requiring multiple mic placements, including percussion instruments such as cymbals and overheads as well as string instruments like guitar and violin. Using multiple mics help ensure accurately captured audio with increased detail for your recordings. The C02 features a low-mass capsule with a cardioid polar pattern. A cardioid pattern captures a narrow pick up area right in front of the microphone, with a result that minimizes ambient room noise and signal from nearby instruments and monitors that may cause feedback. A wide, linear frequency response results in rich detail while minimizing low frequency noise. The Samson C02 Condenser Microphone is a great solution for both live sound and studio recording applications. 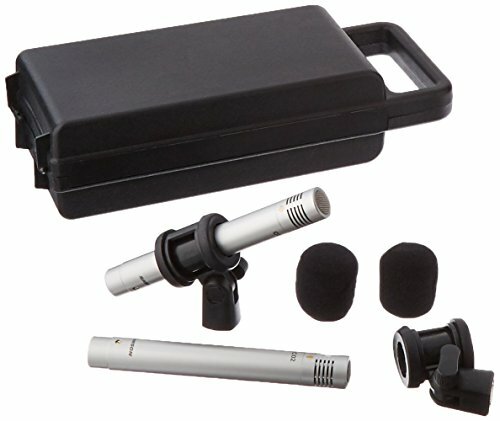 The C02 package comes with a convenient carrying case as well as a set of shock-mounted mic clips, making it easy to transport and set up your condenser mics. Samson Technologies began in 1980 as a pioneer in wireless microphone technology. Today, Samson is an industry leader in professional audio solutions whose products are known for their fidelity and reliability. Samson products are preferred by recording artists, performers, educators and audio professionals throughout the world. In the early '90s, Samson began to expand the reach of their audio products through the development of power amplifiers, mixers, wired microphones and signal processors. 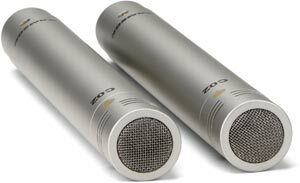 In 2005, the first professional USB microphones to be used by musicians, broadcasters and podcast enthusiasts were introduced, making Samson USB microphones the new industry standard. Over three decades, Samson has grown from a small two-person operation to a worldwide enterprise, dedicated to innovating new products that will enhance the lives of music and broadcast professionals everywhere.